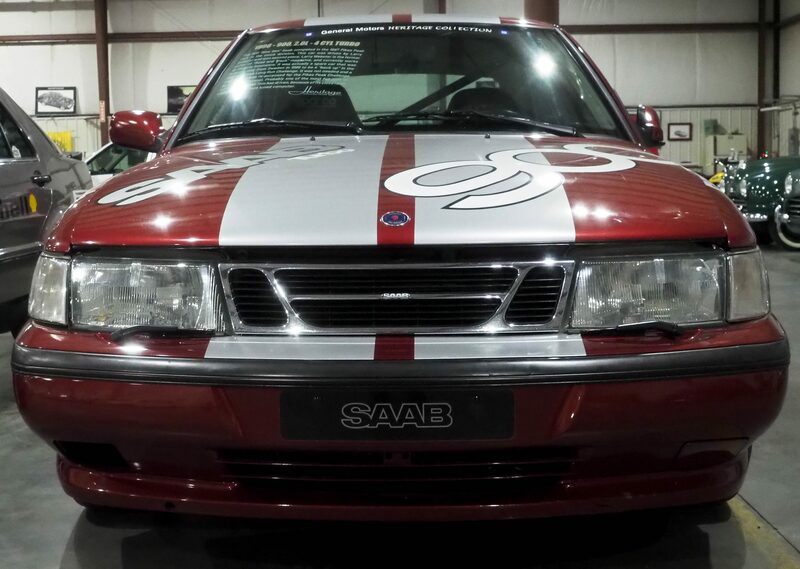 This 900 ‘New Gen’ Saab competed in the 1997 Pikes Peak race in the stock division. 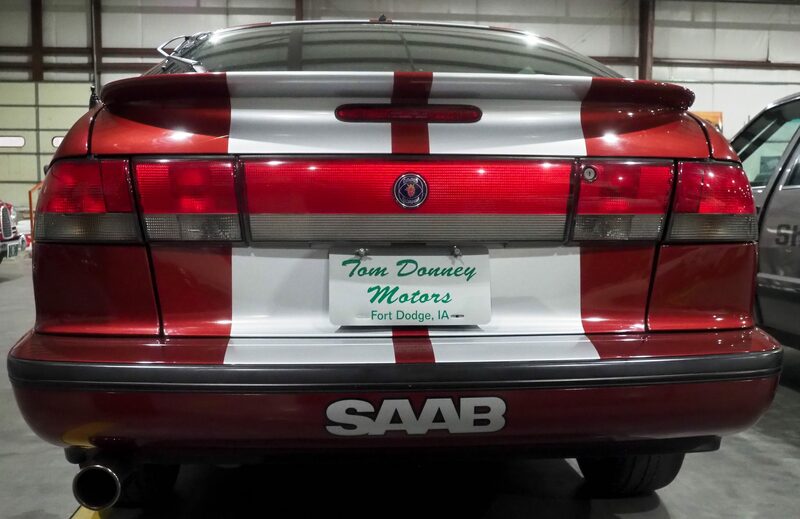 This car was driven by Larry Webster and won second place. 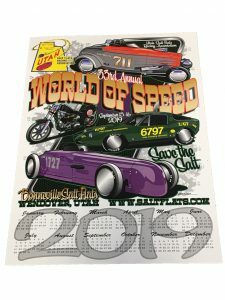 Larry Webster is the former editor of ‘Road and Track’ magazine, and currently works at Hagerty Insurance. 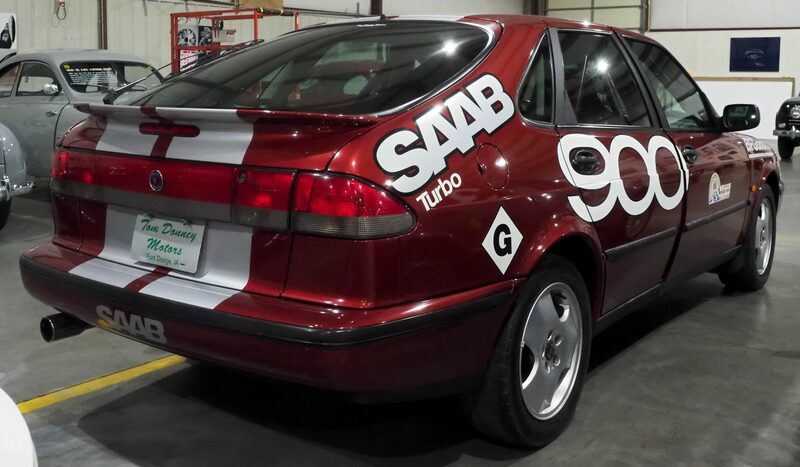 It was actually a spare car that was brought over from Sweden in 1996 to be a ‘back up’ in the 2nd Talladega Long Run Challenge. 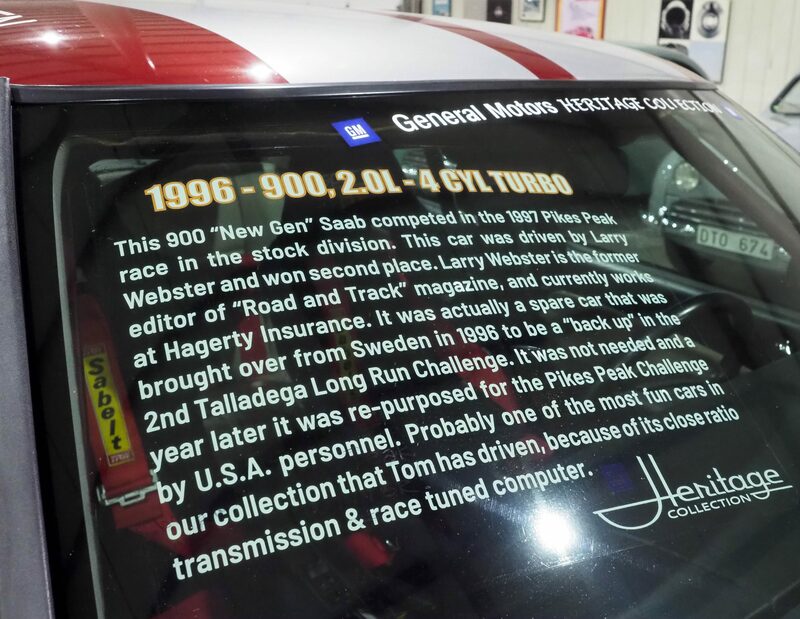 It was not needed and a year later it was re-purposed for the Pikes Peak Challenge by U.S.A. personnel. 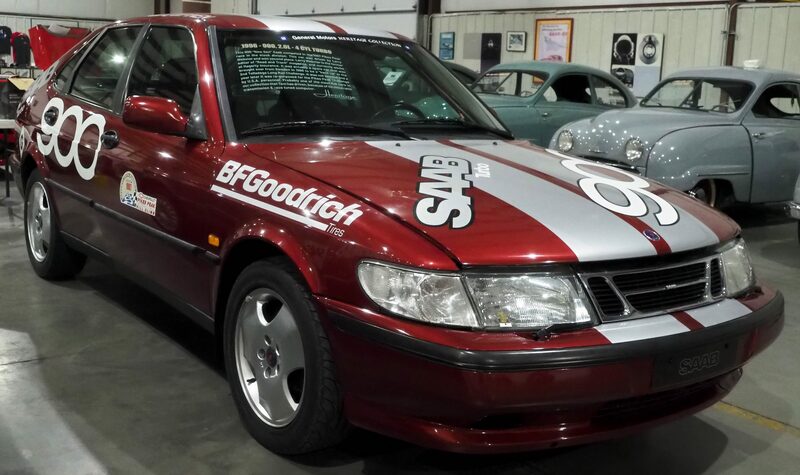 Probably one of the most fun cars in our collection that Tom has driven, because of its close ratio transmission & race tuned computer.